WE CHIROPRACTORS work with the subtle substance of the soul. We release the prisoned impulse, the tiny rivulet of force that emanates from the mind and flows over the nerves to the cells and stirs them into life. Through eons of time it finned the fish and winged the bird and fanged the beast. Endlessly it worked, evolving its forms until it produced the crowning glory of them all. I would be remiss if I discussed chiropractic without discussing Innate Intelligence-it’s kind of a big deal! Although modern science has not been able to prove the existence of Innate Intelligence, I think most people agree that there is something inside of our mechanical bodies that amounts to more than just a sum of our parts. How else could you explain the following occurrence? When people undergo organ transplants, they will often start to develop new habits, cravings, or inclinations towards very specific hobbies. When the families of the organ donors are interviewed, the habit, craving, or tendency is always something that they recognize from their loved one. In one case, a very straight-laced church going lady received a kidney from a donor who died in a motorcycle accident. Following the surgery, the lady began to develop cravings for fried chicken and oddly enough she began to suddenly enjoy loud rock and roll. Neither of these things had appealed to her before the surgery. The family of the donor was tracked downed and questioned, and low and behold, the donor’s favorite thing to eat was-fried chicken! You probably won’t be shocked to find out that he also enjoyed listening to his rock-and-roll as loud as possible. How is it that these desires were “transferred” to the person accepting the organ? In my opinion Innate Intelligence is the answer. There is something very powerful inside of you, running your body at all hours of the day and night. You don’t have to think about breathing, pumping your blood, or healing the cut on your finger-it just happens! Take a moment and reflect on the amazing intelligence that would be required to run such an operation. Just the logistics are staggering! I wonder if even the most technologically advanced super-computer could handle the vast amount of data that is required to maintain homeostasis in the human body. The good news is you don’t need a super-computer…you ARE the super-computer! The job of the chiropractor is to ensure that your body is functioning as close to 100% as is physically possible. The Innate Intelligence within you is on a mission, to constantly maintain organization in your body. And you should trust that intelligence! If there is one thing that I hope you take away from this book it is this concept: You are your own best doctor because you know more about your body than anyone on the outside ever will. We even have common phrases in our society that point to the power within. Trust your instincts. Go with your gut. Follow your intuition. All of these clichés are trying to get the same message across-YOU HAVE AN INCREDIBLE INTELLIGENCE INSIDE YOU…WHY NOT TRUST IT? In concluding this chapter, I would like to again stress the true value of chiropractic. 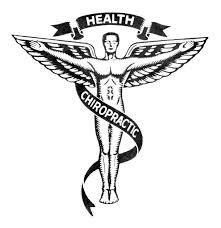 Chiropractors do not treat diseases or conditions. Instead, we detect and correct vertebral subluxation to allow your body to function properly. When vertebrae in your spine become subluxated it lessens the ability of Innate Intelligence to perform the daily chores that are necessary for you to survive, and that’s a problem. Whether you are currently symptomatic or not, it is a good idea to make sure your body can function properly. Get in touch with a great chiropractor and get yourself adjusted on a regular basis. If you happen to be located near me in San Antonio, feel free to reach out with any questions that you have about chiropractic adjustments or health in general. Murray Chiropractic Center is located at 1840 Lockhill Selma, Suite 101 San Antonio, TX 78213. This entry was tagged chiropractic, chiropractor, chiropractor 78213, chiropractor in san antonio tx, chiropractor near me, chiropractor san antonio tx. Bookmark the permalink.